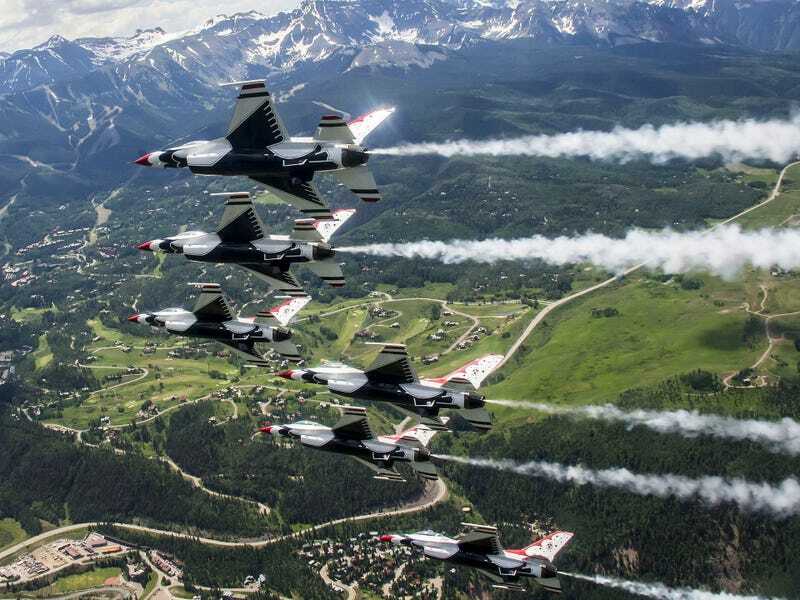 The Thunderbirds took a little photo-flight detour on their trip back home to Nellis AFB in Las Vegas after performing over Mankato, Minnesota a couple weeks ago. They hit Telluride, Colo. in particular where these amazing images were shot. Then they jetted down to the Four Corners for a snap over the Grand Canyon and Ship Rock.